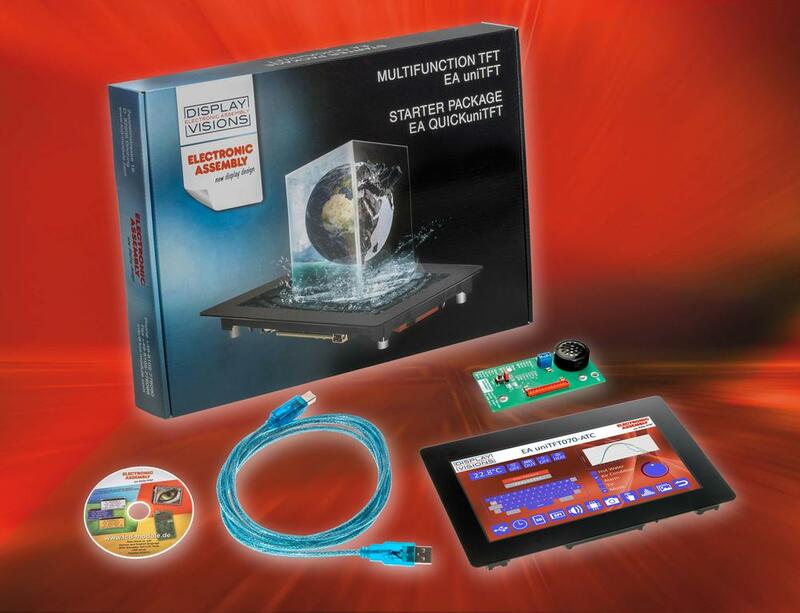 Quick UniTFT series offers extremely fast drag-and-drop development of modern interfaces thanks to the integrated command set and object-based layout software, even without expert knowledge. Well-structured displays and menu structures that are easy to understand at a glance - these are the key requirements for displays in nowadays devices, especially in medical segment. Basic overview of the Quick UniTFT series was introduced to you in our previous article; this time we bring you the overview of other interesting benefits of this series. What makes the QuickUniTFT series so extraordinary? The QuickUniTFT offers extremely fast development via drag and drop object orientated programming even without expert knowledge. After getting familiar with the environment and possibilities, a quite powerful graphic interface can be designed within few hours. This extreme simplification and shortening of development easily compensates for higher costs of the module in comparison to standard TFT module, at least in small to mid-volume production. Thanks to its compact 5” screen diagonal (136 mm x 96 mm), the uniTFT050 is ideal for use in medical equipment. Nevertheless, it offers a vector graphic display of 800 x 480 pixels. The extremely fast image build-up of 50 fps guarantees a streak-free display even with moving objects and animations. The extraordinary brightness of 900 cd/m² guarantees a high-contrast display under all lighting conditions, including direct sunlight. The EA uniTFT50-A version come without touch panel and the EA uniTFT50-ATC is equipped with a capacitive multitouch panel capable of work even behind a four millimetres thick glass panel or when wearing thin gloves. Thanks to the integrated command set and the graphical editor "uniSKETCH for Windows", even technically less affine developers can create attractive design of graphic environment. The developer is supported by standardized stylesheets, which can be individually adapted, as well as an extensive library of graphically appealing objects, including rotary and slider controls. The properties of all screen elements, such as shape, colour, position or stored actions, can be edited at any time. The commands for this are either stored as macros on the integrated microSD card, or can also be accessed at runtime via the serial interface. Images in all common formats can easily be integrated into the layout. Audio files can also be played back as required, for example to indicate an alarm or error acoustically. 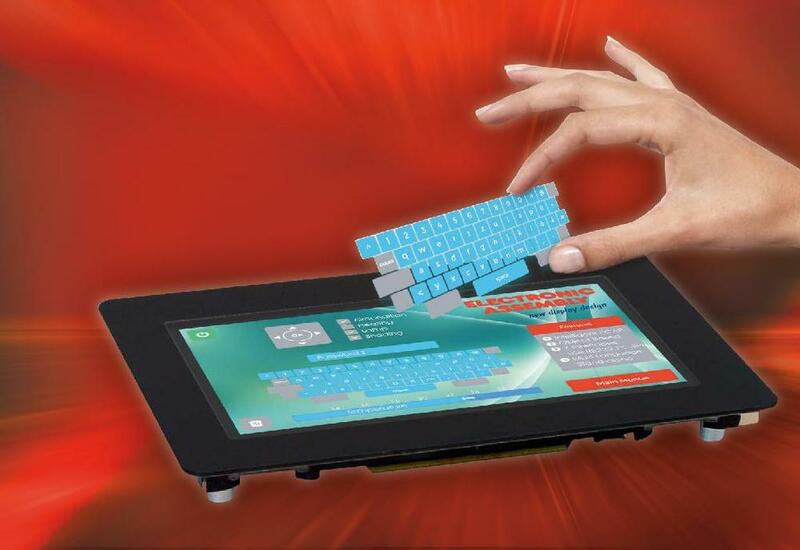 With variable transparency (alpha blending), gentle appearance and well-visible displaying of messages, touch keys and other features can be easily obtained. International use is also considered: Due to the freely scalable vector display and Unicode support, even Chinese characters pose no problem. Using the integrated, battery-buffered time base, events can not only be documented with a time stamp on the integrated microSD card, but processes can also be controlled autonomously. The screen modules are operated with 3.3 V. All panels have a USB interface for programming (flashing) or for later operation. In addition, the modules offer six serial interfaces: Two RS232, SPI and I²C connections each. The serial interfaces are used for communication with a higher-level controller (host), but can also be used with sensors or actuators. Four analogue inputs with the possibility of automatic reaction and a PWM output for control tasks are also permanently integrated. The list of communication interfaces is closed by16 I/O lines, which can be expanded to 128. Camera images can be displayed directly on the display via the analogue video input and stored as hardcopy images on the integrated microSD card for documentation purposes. Besides the 5” models uniTFT050-A and uniTFT050-ATC, ELECTRONIC ASSEMBLY currently manufactures two other sizes: 7” EA uniTFT070 with 1,024 x 600 pixels and the biggest one - 10.1” EA uniTFT101 with 1,280 x 800 pixels, similarly in three versions: without TP, with capacitive TP or with resistive TP. Already during the development of the QuickUniTFT display series, the focus was on the special requirements for medical technology components. Development and production are carried out under strict quality management in accordance with ISO9001:2015. And as it is typical for Electronic Assembly products - the display modules will be available for many years. The producer simplifies the complex medical certification processes with an EMC report. To get a fast idea of the capabilities of the new display series, ELECTRONIC ASSEMBLY offers an interactive demo app "uniTFT" for Android and iOS. Also the editor “uniSKETCH” is available for free, including complete simulator. 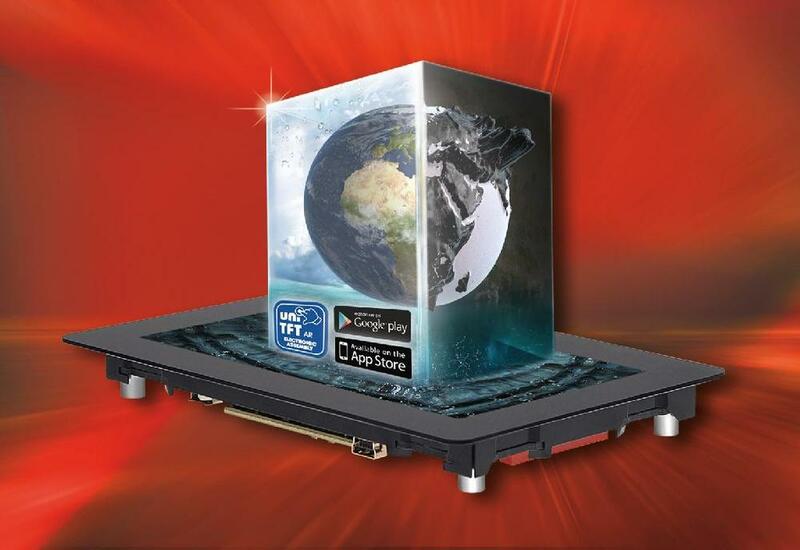 Extreme simplification and shortening of development easily compensates a higher price of the uniTFT module in comparison with standard TFT modules, especially for devices with low- to mid-volume production potential, where it would be non-economical to spend months only with the development of graphic interface using standard (non-intelligent) TFTs.